Now, Zero owners can connect to their bike through their phone. 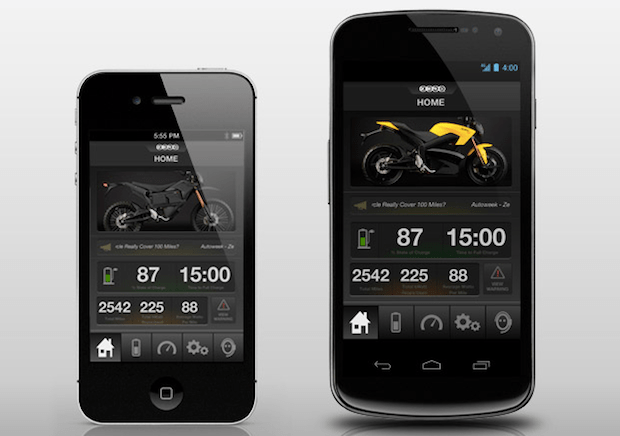 Zero has released a new smartphone app for people running their battery bikes, and it’s surprisingly interesting. Here’s what the app looks like. Instead of of packing the app with glamour shots of their bike, with a few bland dimensional stats, the app has two modes. There’s a dashboard mode, which offers the same sort of information as a bike dash. This function of the app gives you information such as percentage state of charge, torque, drivetrain component temperatures and battery amps. Switch the app over to statistics mode, and you can get your bike’s lifetime history. For instance, it’ll tell you how much gas money you saved by running the electric bike, how much CO2 you’ve avoided producing, and other fun earth-saving statistics. The app connects your phone to your bike through Bluetooth technology. Both the dashboard and statistics mode can be customized, so users can pick what information they want to read. I’m not excited about having a motorcycle rider checking his phone to see how hot his motor is running. How many bike riders want to stay within a few km of home for their riding, and wait several hours during a “fill-up”?? Commuting on a bike is fine but most riders I know also do it for fun and like to get out in open roads far (electric vehicle far, at least) from home. The electric bike, let alone the “app”, are solutions without a problem. Though electric vehicles are not quite ready for prime time they are inching ever closer.I recall the history books discussing how the horseless carriage was greeted with derision! No forked tongue here, just sayin’ they ain’t there yet is all. Reread what I wrote. Let me rush right down to my local Zero dealer and support them – oh wait, there isn’t one ! They make sense for a lot of commuters. They are catching on. Exchangeable batteries will be the next wave; just like you now exchange a propane tank. People said the same about the hybrid, they’ve sold in huge numbers. Small EBikes are all over the place in Ottawa, some even all winter, this is a big part of the future. 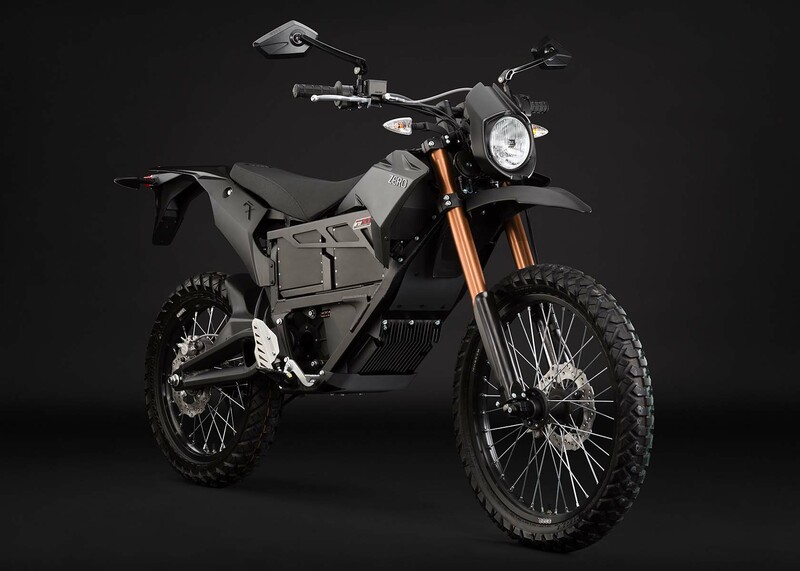 The cheap little speed-governed ebikes are in a whole different category, more like the gas powered mopeds of old. For urban assault, where distance traveled is small and opportunity for recharge is high they can make a lot of sense. Electric roadracers, mxer’s and supermotos too, in a competition setting. And to answer a whole bunch of questions nobody asked ? For both the people that bought one ?